There are a number of satellite units that provide haemodialysis services alongside the 3 units at the the main hospital site. This large and modern facility is run by Fresenius (the manufacturer of the machines used in all of St George's locations). Like all St George's locations it uses the Fresenius 5008 dialysis machines. It is based in a converted office block with approximately 30 bays and 8 rooms with their own toilet facilities. It runs 3 "shifts" a day on Monday, Wednesday and Fridays and 2 a day on Tuesday Thursday and Saturdays. It has its own car park immediately outside the building's entrance and plenty of spaces for patients and staff. It is located just behind one of the major retail parks in the area. 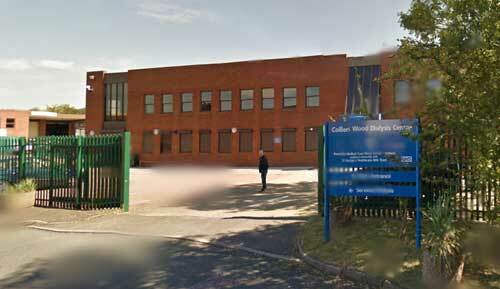 Here is a brochure produced by the operator (Fresenius) describing the Colliers Wood Unit. Kingston dialysis unit is managed by Epsom and St Helier Hospital Trust. It is a medium sized facility with approximately 17 beds. All machines are Fresenius 5008 dialysis machines. Each bed/chair has its own Freeview television and FREE fast wifi/broadband facility. Patients must bring their own food and blankets to dialysis. Tea and biscuits are provided. There is free parking on site although it can get very busy at peak (changeover) times and is cramped for larger cars. All St George's patients are looked after by a consultant nephrologist from St George's and the regular patient clinics are usually held at the Kingston Unit. The clinic room is above the dialysis floor. 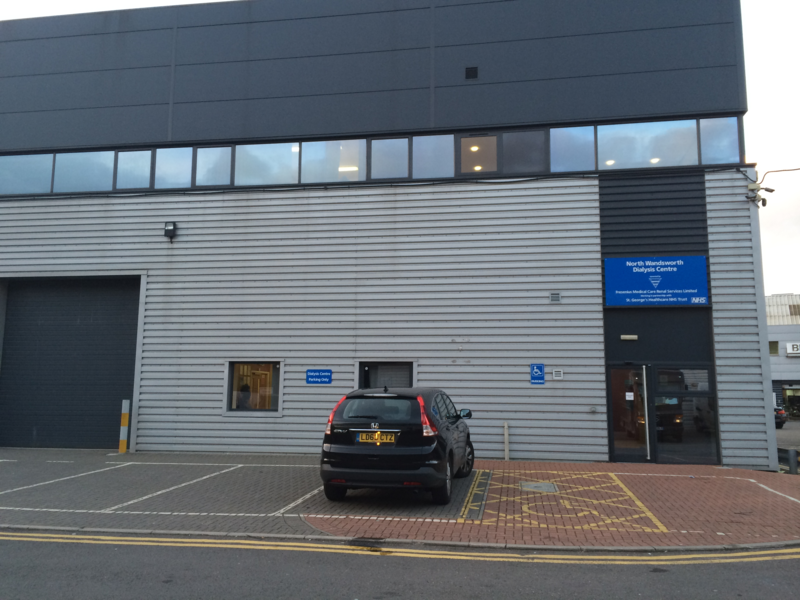 Here is a brochure produced by the operator (Fresenius) describing the North Wandsworth Unit.